Fully battened recently replaced main sail with lazy jacks, furling genoa foresail, and spinnaker. All sheets return to cockpit for single handed control. Honda 9.9 HP, 4 cycle outboard with charger. 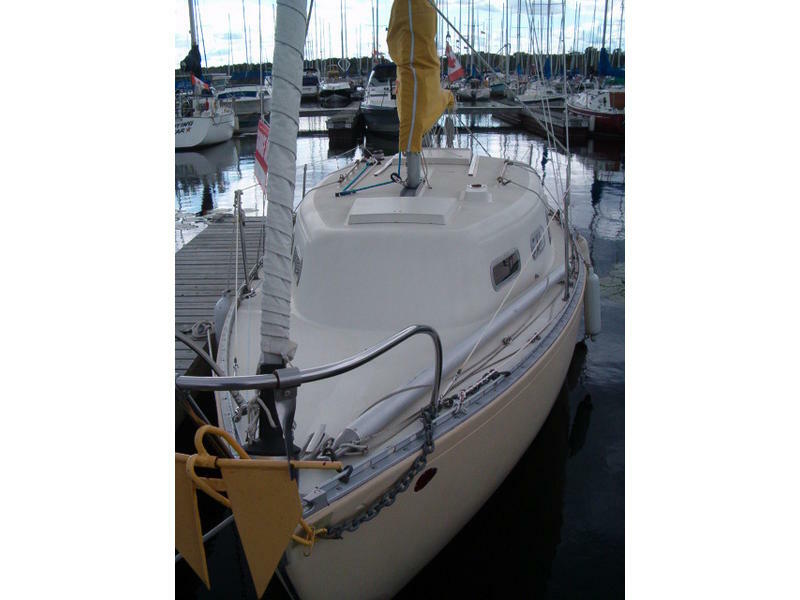 VHF radio; stereo; depth & knot meters; compass; anchor with chain & 150′ rode. Galley; dinette table; stove; sink; icebox; marine head. New tiller; all windows recently replaced; teak wood. 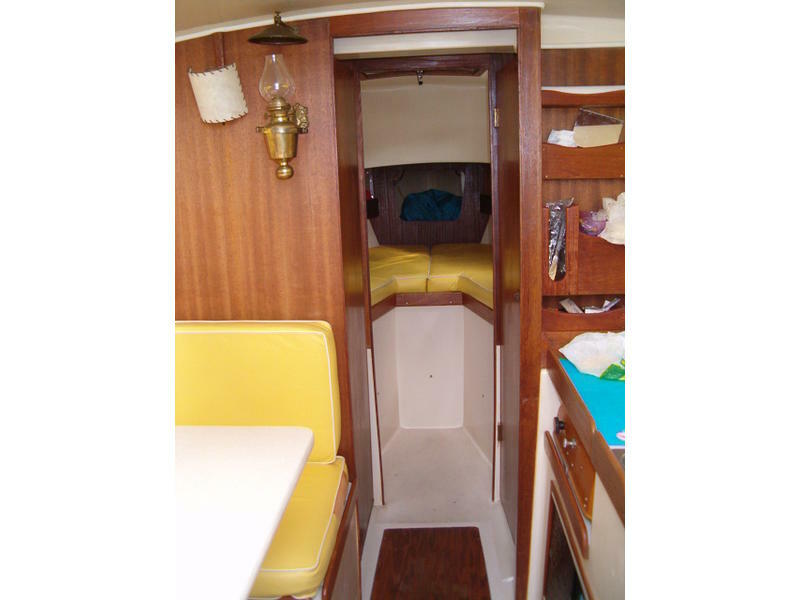 Lots of headroom in cabin which is more spacious than some 28′ & 30′ boats. Sleeps 5. 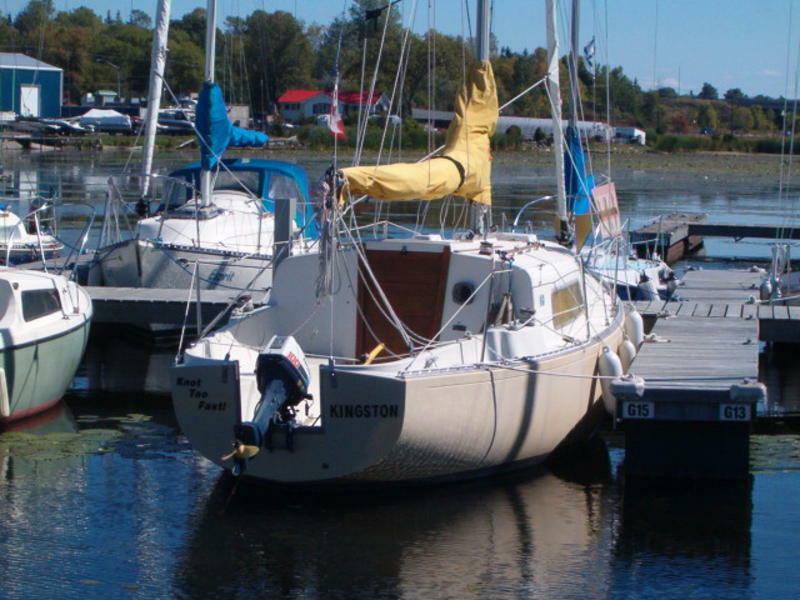 This vessel is in very good condition and has been well maintained. Great boat for novice sailors. Will give lessons.